On this episode, Karolyn is joined by cancer care experts Laura Pole and Carole O'Toole to discuss "integrative navigation," a concept they created to help people better cope with the experience of cancer diagnosis, treatment, and survivorship. Laura Pole is an Oncology Clinical Nurse Specialist who has been providing integrative oncology clinical care, navigation, consultation and education services for over 35 years. 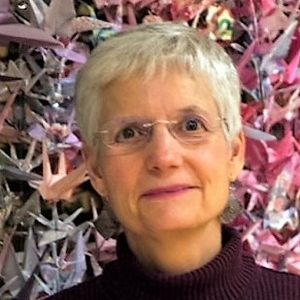 She is the Co-Creator and Co-Coordinator of the Integrative Oncology Navigation Training at Smith Center for Healing and the Arts in Washington, DC. She is Senior Researcher for Commonweal’s “Beyond Standard Cancer Therapies” project to provide patients, clinicians and researchers with the best available resources for integrating conventional and integrative cancer therapies. Laura also manages the " Media Watch Cancer News That You Can Use" Listserv for Smith Center. In her role as a palliative care educator and consultant, Laura serves as the statewide Respecting Choices Faculty for the Virginia POST (Physician Orders for Scope of Treatment) Collaborative. Carole O’Toole, MS, is director of Smith Center for Healing and the Arts Institute for Integrative Oncology Navigation in Washington DC, where she developed their groundbreaking integrative navigation model and co-created their national training in integrative cancer care navigation. She has been an integrative navigator for more than 20 years, directed the establishment of hospital and community-based integrative navigation programs, is the author of two books on integrative cancer care: Healing Outside the Margins and Cancer Community Healing Network. Carole brings passion, humor, expertise, and her personal experience as a survivor of advanced cancer to her teaching.